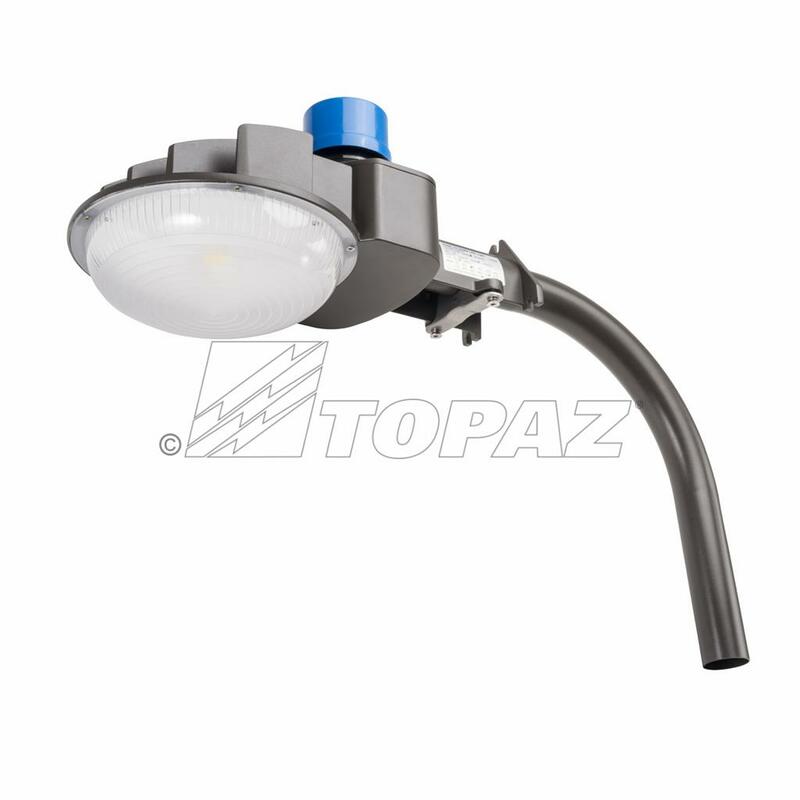 Utilizing a single source LED, Topaz’s Dusk-to-Dawn fixture with its NEMA approved photocell provides prismatic designed light output for any environment. A long-lasting alternative to traditional lights with a life rating of greater than 50,000 hours, this fixture features chip on board (COB) LED technology and advanced thermal management and offers energy-savings of up to 80% compared to typical fixtures. 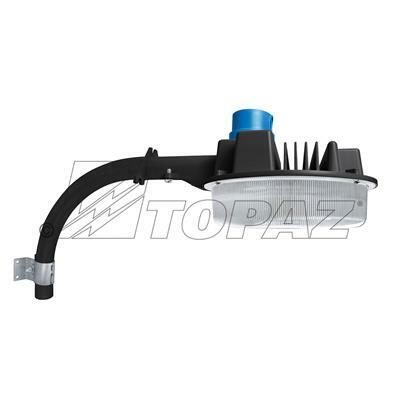 Fabricated with a heavy duty, corrosion resistant cast aluminum housing and designed to be installed on a wall or pole, this fixture is ideal for parking lots, warehouses, farm applications and factory loading docks.